Barn Owls prefer cultivated areas and always live and breed in proximity to humans. 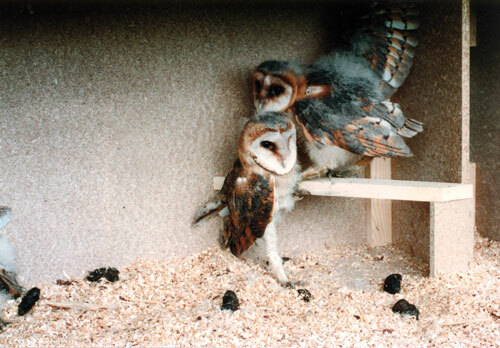 Not only Kestrels but Barn Owls, too, are important natural predators of Field Mice, Water Voles and Rats. 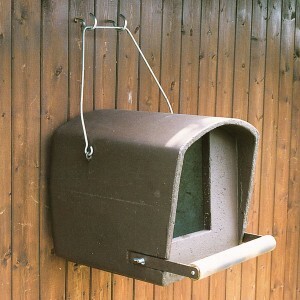 Material: Water-resistant chipboard made without the use of formaldehyde. 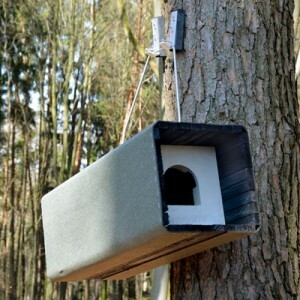 Bedding: Encourage Birds to use the box by forming a base with tree bark and coarse wood shavings. 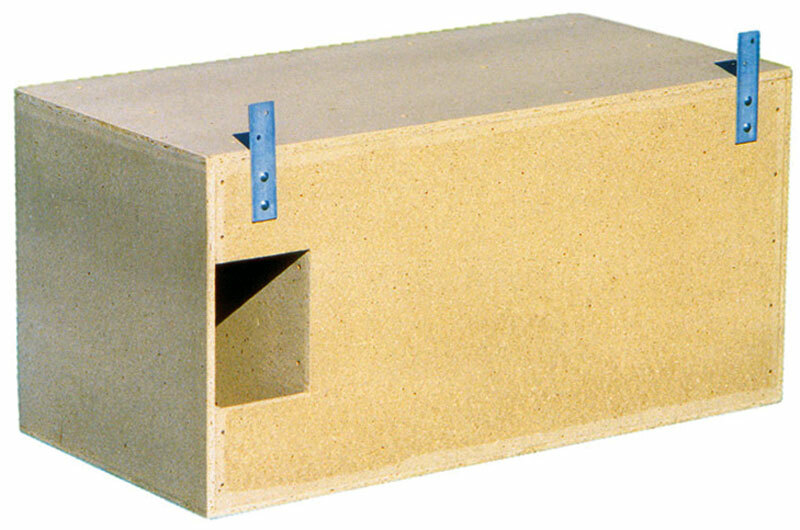 Siting: The box should not be placed completely in the open but attached to the inside walls of buildings, using screws and plugs. There is a large flap at the rear for inspection and cleaning purposes. 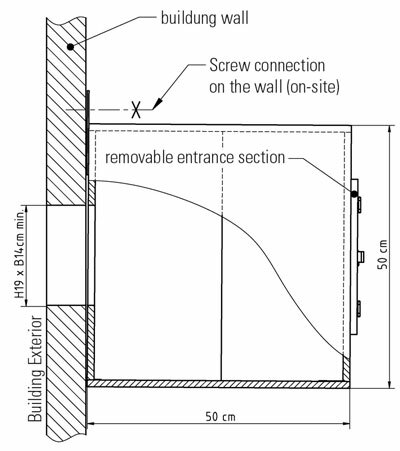 It is important to keep an access hole through the external wall clear in front of the entrance to the box. 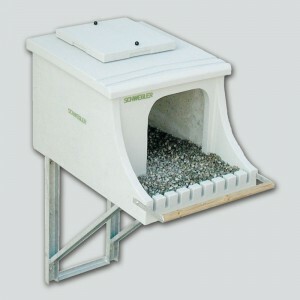 Ideal for all kinds of buildings such as barns, industrial buildings, church towers, etc. 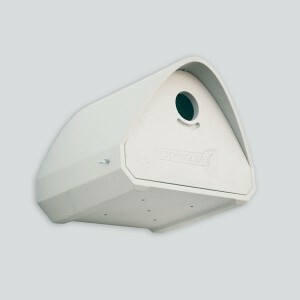 Occupants: Primarily Barn Owl or Kestrel. 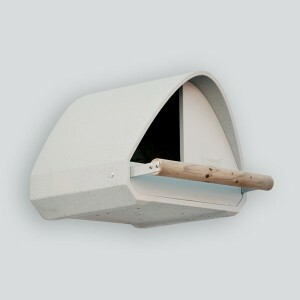 Height above ground: At least 6 to 8 m.
External dimensions: H 50 x W 100 x D 50 cm. Size of entrance: 14 x 19 cm.